Getting an injury can result in ongoing pain, frustration and major disappointment. The best way to get back into the game or just get on with enjoying your life to fullest is to begin the healing process on a positive note. At Advanced Medical of Twin Cities we believe in a taking a team approach that utilizes an individually designed treatment plan to address multiple aspects of injury rehabilitation. The therapeutic recovery process often encompasses physical therapy along with an additional healing modality such as massage therapy or chiropractic care. 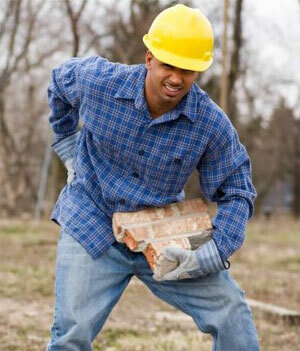 Even the simplest task can cause pain after a sports injury, slip and fall injury or accident. Whether or injury is caused by a single event or created over time from poor posture or repetitive movement, help is available. Taking a shower, reaching above your head, walking the dog or driving can become difficult without the proper treatment. This is where the expertise of professionals in multiple specialties can come together to reduce pain and restore range of motion through a customized therapy plan. Physical therapy remains one of the top ways to address injury recovery and rehabilitation. Targeted exercises and stretching can provide increased mobility and strength. Our bodies were created with the innate ability for self-healing. Highly trained experts at Advanced Medical of Twin Cities are here to provide guidance and assistance using proper equipment and techniques. Since all bodies are unique, doesn’t it make sense that your injury rehabilitation plan should be individually designed for your body? By encompassing multiple therapy options into one cohesive treatment plan, you can begin to feel the affects more quickly. The following evaluation and rehab options may be combined to create your customized injury rehabilitation solution. There is no need to suffer through an agonizing injury when help is available at Advanced Medical of Twin Cities. Our team of physical rehabilitation experts is trained in various forms of healing techniques, both medical and holistic. Your individualized treatment plan is custom tailored to treat your body with care. It doesn’t matter how you sustained your injury. What matters is what we can accomplish together to get you back to feeling like yourself again. Call Advanced Medical of Twin Cities at (763) 541-1280 to schedule an Appointment Today!